Rucking is one of the biggest discriminators for Special Operations Selection. It, along with Land Navigation are two of the biggest problem areas that candidates face when attempting to enter into one of the units in the military. And now with Special Operations open to women, they face the same issues that men face. In fact, they are generally facing an even tougher go of it, which we’ll get to shortly. 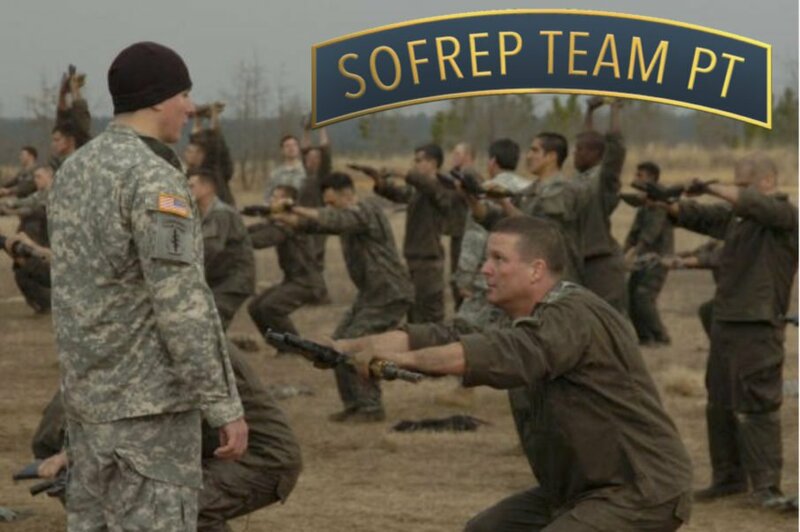 We’ve had women successfully navigate Ranger School as officers, and recently a woman NCO just successfully completed Ranger training which is looked upon in the Army as one of the premier leadership schools for not only members of the Ranger Regiment but for the conventional Army as well. And as there have already been women attempting SEAL and Special Forces Selection (SFAS) in the past few years and it is only a matter of time before several attempts to make the try again. Let’s be upfront here, we’re not here to debate whether or not women belong in Speciation Operations Forces units. That debate is dead, the government and the Pentagon have decided to allow any who wants to, the opportunity to try and pass Selection. Likewise, we’re not delving into the territory of whether or not there is a double standard for women candidates having a different standard for passing the course as men. We’ve heard the accusations and read some of what is out there on the subject. And for the purpose of this piece, we could care less. We were asked here at SpecialOperations.com, by a woman who is considering putting in a packet for Special Operations on how she can improve her rucking skills, which according to her, is a problem area, one not uncommon for women. Men are physiologically vastly different than women, (There’s your SpecialOperations.com news flash of the day!). Generally, they are smaller and have less muscle than their male counterparts. This particular woman candidate that reached out to us, isn’t considered short by female standards but would be considered that for men (5’6-5’7) and has stated that she’s had issues keeping the pace with her male counterparts by walking, and has to often resort to a slow shuffling run to keep up. This is hardly an issue strictly for women, many men, even taller ones have the same issues. Keeping up the pace that you’ll need to meet the standards of Selection requires a ton of practice. No one is an expert rucker on Day 1, like any other skill it will require constant repetition and corrective measures to constantly get better at it. So, the only way to get better at rucking is to first, ruck more and more until it becomes a strength rather than a liability. And as this particular candidate pointed out, while she is a good runner, she’s had issues with the weight of rucking, again a common issue with male candidates who are inexperienced in doing it. So how can women improve their rucking skills? We’ll try to answer that as simply as possible below. Improve Lower Body/Core Muscle Mass: Women, for the most part, are loathe to add muscle to their bodies. The social media trolls who body shame women are quick to criticize everything women do, and while this is beginning to change in regards to packing on muscle, most women will be the first to say, that they’d rather be “toned than built”, but if you want to be in Special Operations, that attitude will have to change. No one is saying that they have to look like Arnold in “Commando”, but if you want to lug that pain pill around all day long, your legs and lower body are going to have to bear the brunt of it. And for a woman 5’6-5’7, with appropriate body weight, that means the ratio of body weight to what you’re carrying is going to be much higher than a guy who weighs 210-215 pounds. How do they build up that lower muscle mass? Squats. Plenty of squats, both front squats, and barbell squats. Start with lighter weights and do plenty of repetitions. Then, gradually increase the weight until your legs are getting the power and explosion that will give you the strength to push out carrying a heavy ruck all day long. Squats are also great all over muscle builders and will help stabilize your core while carrying the rucksack. Also, another great exercise is the weighted sled push. This should become a part of your leg training routine and will help immeasurably with your rucking. Go for a heavier weight to build up strength and power, (somewhere between 100-200 percent of your body weight) and go from there. Don’t neglect upper body workouts either, the workouts we publish daily are a good way to build up the upper body to handle the weight of the ruck on your shoulders and back. When it comes to the workouts and other considerations, such as boots, foot care, and rucking techniques etc., I would encourage women to check out our earlier posts on the way to improve. Those rucking articles would translate for women just as easily as they do for men. So, while women will have to carry a larger percentage of their body weight as opposed to men while rucking, it isn’t anything that can’t be done and hasn’t been done. Many women are doing more and more rucking, not just in the military but outside of it as well. The Go-RUCK events are drawing more and more women into their ranks. And they are doing well at it. So, good luck in your quest. Remember failing to prepare is preparing to fail.